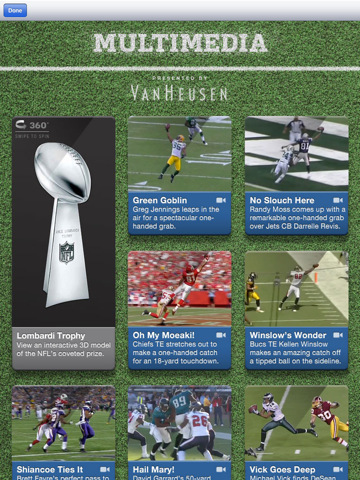 Get out your iPad and get ready for Super Bowl XLV. The free official Super Bowl XLV NFL Game Program lets you relive the Packers’ and Steelers’ season and road to the championship game. You can also watch video content of the best moments of the 2010 season. The interactivity here is quite attractive. Everything but the guacamole. AppSafari review of Super Bowl XLV Official NFL Game Program was written by Joe Seifi on February 5th, 2011 and categorized under App Store, Events, iPad apps, Sports. Page viewed 3539 times, 1 so far today. Need help on using these apps? Please read the Help Page.